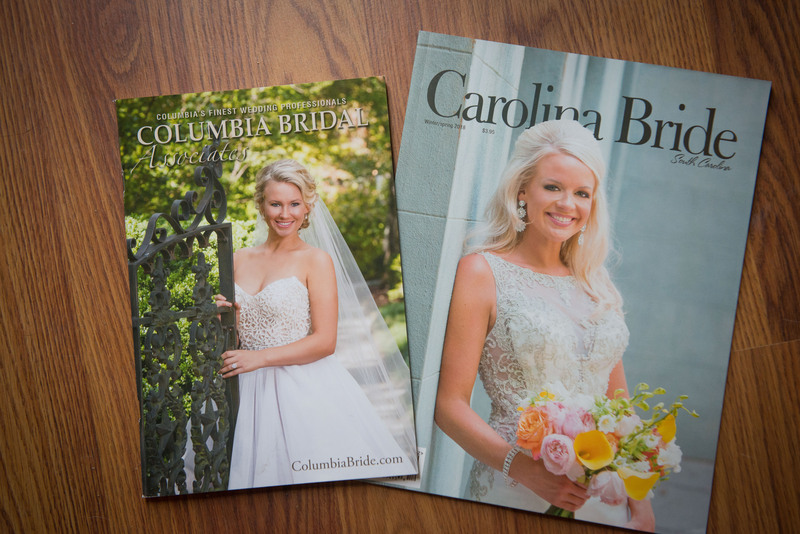 I am so thrilled and honored to have TWO of my brides on magazine covers in the Columbia area this summer! And they’re both named Ashley! Ashley S’s lovely bridal portrait from the Lace House was on the cover of Carolina Bridal Associates magazine and Ashley B’s bridal portrait, also taken at the Lace House was on the cover of Carolina Bride magazine published by the State Newspaper. This is my third cover for the Carolina Bride magazine. Below are a few highlights from Ashley B’s six page feature in Carolina Bride. I look forward to working with more “cover girls” in the coming year!